So the question comes to mind on why would you need such a tool? The core ArcGIS WMS extension is great for quickly visualizing services within the ArcGIS framework. However, it doesn’t natively allow users to modify the WMS map requests and it does require an existent Internet connection. 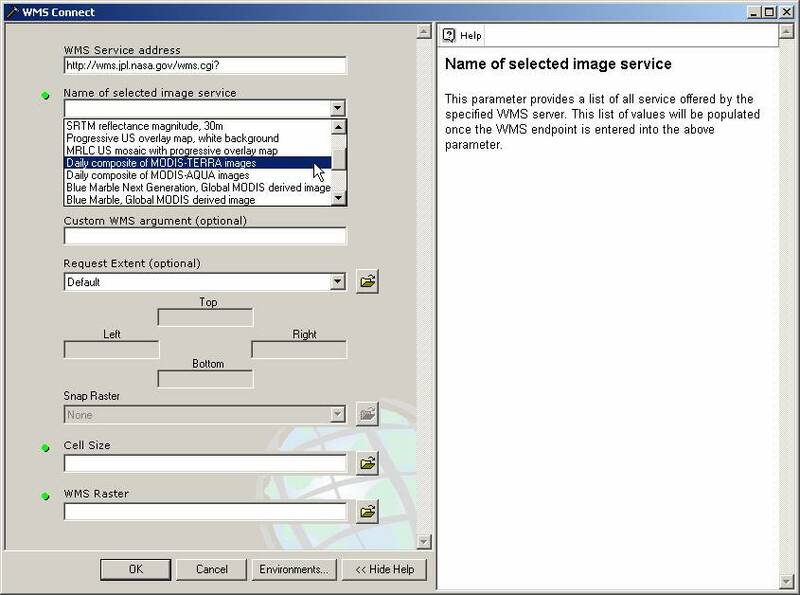 The WMS Connect tool allows the user to modify WMS service requests in such a way that the user can select a style other than the default, it allows the user to define the request area, and it allows the definition of the downloaded cell size. The result of this tool is a raster dataset on disk and the user can use it in a disconnected environment and for geoprocessing as well. I’m going to have to try this when I get back into work on Monday. Better WMS support in ArcGIS has been a hot topic with some of our clients.